The book that……I can’t believe I waited so long to read! I am not posting a synopsis on here because I went into this book completely blind and I thought it really added to the story. However, if you wold like to read what it is about, you can read the synopsis here. I gave this book 5 out of 5 stars on Goodreads. I had this book sitting on my shelf for almost 2 years. I think I had had it on my Goodreads TBR even before that. I always looked at it thinking I should read it. I don’t know why but I just kept putting it off. Finally I picked it up and I was hooked about 5 pages in. This quickly has become one of my top 5 reads of 2014. The writing is absolutely beautiful and the story is just so intriguing that you will want to keep reading just one more chapter way past your bedtime. I was not expecting this book to be as creepy as it turned out to be and I loved that eery feel that it kept throughout the book. I absolutely loved the pacing in this book. It revealed new information relatively slowly but always gave you just enough to keep you reading furiously to find out what would turn up next. There was a little bit of a lull in the middle but I wanted to see hwo it would end so badly that I just kind of flew through that part. I also loved the vibrant characters in this book. There are a lot of characters but I felt that Diane did a great job giving them personality and really got the reader involved in their lives. The worst part is that Diane Setterfield only has one other book! She also wrote Bellman & Black which sounds just as good as The Thirteenth Tale. I wanted to get it from my library right away but I think I will wait a bit so as to have one of her books to read in a couple months. 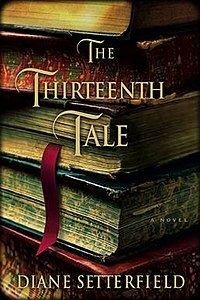 I would recommend The Thirteenth Tale to fans of Rebecca by Daphne DuMaurier or to anyone who likes gothic mystery novels. Have you read this book or have you finished a book recently? What did you think about it? I would love to hear your thoughts! Now that they’re going to college, Wren has told Cath she doesn’t want to be roommates. Cath is on her own, completely outside of her comfort zone. She’s got a surly roommate with a charming, always-around boyfriend, a fiction-writing professor who thinks fan fiction is the end of the civilized world, a handsome classmate who only wants to talk about words… And she can’t stop worrying about her dad, who’s loving and fragile and has never really been alone. For Cath, the question is: Can she do this? I gave this book 5 out of 5 stars on Goodreads. I absolutely loved this book. The story is just so comfy and cozy without being too simple. The characters had depth and I found myself falling quickly in love with all of them. I think that Rainbow’s writing is beautiful and easy to read all at the same time which can be really hard to do. I would suggest that if you are look for a book that is a fast read or a good story about college, love, and family, this is the book for you. I honestly couldn’t finish this one 😦 I think that this book has a lot of untapped potential. I think that the author is trying to write a book about a lot of hard-hitting issues when really it is about a bunch of girls in pretty dresses. The main character, America, drove me absolutely crazy. One minute she is terrified of leaving the airport and then the next she is signing autographs like a lifelong celebrity. She seemed to think that she was worse than every other person even though she had a boyfriend who loved her, an amazing singing voice and everyone including the prince thought she was gorgeous and wonderful. I thought that the world building in the book was weak and I felt like it was modern day America instead of a futuristic dystopian society. I wanted to enjoy this book but I honestly couldn’t do it. This book was not a good one. I gave it one star on Goodreads. I absolutely loved the idea and premise of the story but I feel like it fell flat only a little way into it. The notebook dares just got sort of mediocre and Dash and Lily’s obsession over one another through this notebook just didn’t make sense to me. The story, about 100 pages in, changed completely and it was like reading a really horrible romantic comedy in book form that was neither romantic nor funny. I also felt that the writing was a bit wordy and just plain hard to read. Again, I really tried to enjoy this book but it just didn’t do anything for me. Sorry about the negative reviews in this but I really want to add my honest thoughts about the books I read. Here’s to hoping I read more books like Fangirl in the near future! The books that…..gripped me from the very beginning. Synopsis: Victoria longs for a different life. Then her wish on a mysterious coin transports her back in time, into the body of a ruthless young woman accused of murdering her husband… Despite the perils of her new identity, Victoria discovers a new sense of belonging and adventure in the other woman’s world, especially when a handsome man captures her attention. But can borrowed love last for a lifetime? And how long will Victoria’s wish last? I got this book as an e-book since I had received the second book in the trilogy for review and wanted to read the story from the beginning. Overall, I really enjoyed this book and gave it a solid 4 stars on Goodreads. The writing, though beautiful, sometimes seemed so ornate and descriptive that I was stumbling over it. The writing is supposed to be narrating the main character’s thoughts so when there are deep philosophical statements being made about every little thing, it made the reading a bit cumbersome. The plot while extremely interesting often does seem a little too perfect. When the two women finally switched places, they seemed to adjust to the new time period with no problems at all. A little confusion was there but then they just shrugged it off and were fine. If that happened to me, I would be freaking out and neither of them seemed even a little bit concerned. No one else seemed too worried that these women were suddenly different and didn’t follow cultural and social norms of the time period they were in when they had been doing that exact thing the day before. Despite the many problems I had with the writing style of this book, I flew through it. I could not stop reading and every time I finished a chapter I wanted to immediately see what would happen in the next one. I received this book for free in exchange for an honest review. This book ended up getting only three stars from me for a few reasons. While I still love the story, this book had quite a few flaws. The dialogue of this book did not always seem natural and often made the character seem unbelievable. Especially between Brett and Stephanie. I have never heard teenagers talk quite so formally. Also, every person in this book is remarkably gorgeous. And the author doesn’t mean on the inside. They are all described as having beautiful or handsome features and being strong or graceful as well as having a magnetism that everyone around them gets caught up in. Because of this, it sometimes felt like the characters are almost the same basic person just with a different name. I would have liked to see some variety in the personality and demeanor of the characters. I found that with this book, time isn’t very consistent. There will sometimes be a break in a chapter and suddenly we are somewhere completely different with no explanation as to how long it has been since the previous scene. At one point it skips a month entirely without any explanation to what happened in that month. I wish that the author would have explained more about what was happening when time suddenly moved on or why it did so. All in all, I enjoyed this book and want to finish the series. I am very interested in seeing how everything is going to wrap up. I hope that some of the flaws that were in this book will be fixed by the time the final book is written. I think that the author has a great story that she is writing but all of the little flaws end up building on one another and making the story less enjoyable. 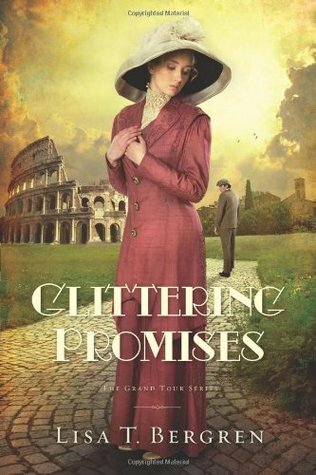 I would suggest this series for lovers of time-travel, romance, and just a fun and fast-paced read. Have you had the opportunity to read these books? If so, what did you think? Feather Bound, the book that intrigued me. I won this book in a giveaway on Goodreads and it will be coming out on May 6th. It is a YA fantasy book about people who are part swan. I gave this book a 3.5 star rating. Synopsis: When Deanna’s missing friend Hyde turns up at his father’s funeral to claim his corporate empire and inheritance, she is swept into his glittering world of paparazzi and wealth. When I was told I won this book, I wasn’t sure what to expect when I read it. The synopsis definitely intrigued me and I was very excited to read something new and unique. I began it the day I got it in the mail and finished it in two days. It was a very simple book and easy to read in one or two settings. This book does have some more mature themes so I would recommend this for 15+ readers. I did have a few problems with the book. I felt like I wasn’t connecting very well with the main character, Dee. I don’t know whether it was my fault or the authors but I found that often, I didn’t have a lot of empathy for what Dee was going through. There were a couple grammar errors and a few scattered cliches throughout the book but these were only mildly irksome but did not take away from the book significantly. The plot was a little bit predictable but enjoyable nonetheless. Overall, I really enjoyed this book. For a debut novel, I think it was written very well and had an interesting and unique plot. It kept my interest through the entire book and I found that I could not put it down until I had finished it. I do think that Sarah Raughley’s book set a great tone and I felt like her writing gave a mood for the book. I think that having a bit more world-building to help me understand more about what was up with the swan people would have been helpful but she did give the book enough for me to go on. I would definitely recommend this book to people who enjoy modern fairytale stories or just love a good fast-paced read. Let me know if you plan on picking this book up. Have you read any good new releases lately? Buy your books here and I will get a small commission.